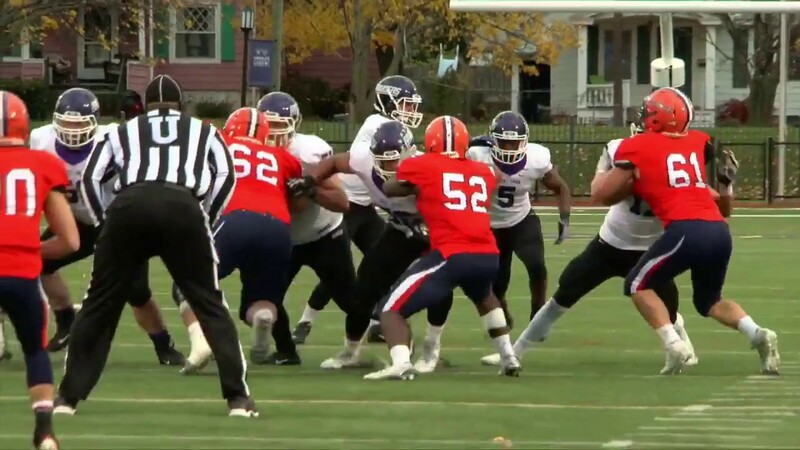 The Hobart College football team outscored Union College 20-7 in the fourth quarter, but its late rally came up short and the Dutchmen were able to hold onto a 28-23 Liberty League victory. Statesmen senior quarterback Shane Sweeney broke his own Hobart game records for pass attempts and completions, finishing the day 33-of-59 for 293 yards and a touchdown. The Statesmen outgained the Dutchmen 388-335, but struggled to produce points until the fourth quarter.